New York City has one of the best skylines in the world, and you can view it from many different places. Whether it’s from Brooklyn Bridge Park, the Staten Island Ferry, or across the Hudson in Jersey, you’ll still see a sight for sore eyes that’ll leave you with hundreds of shots in your camera roll. 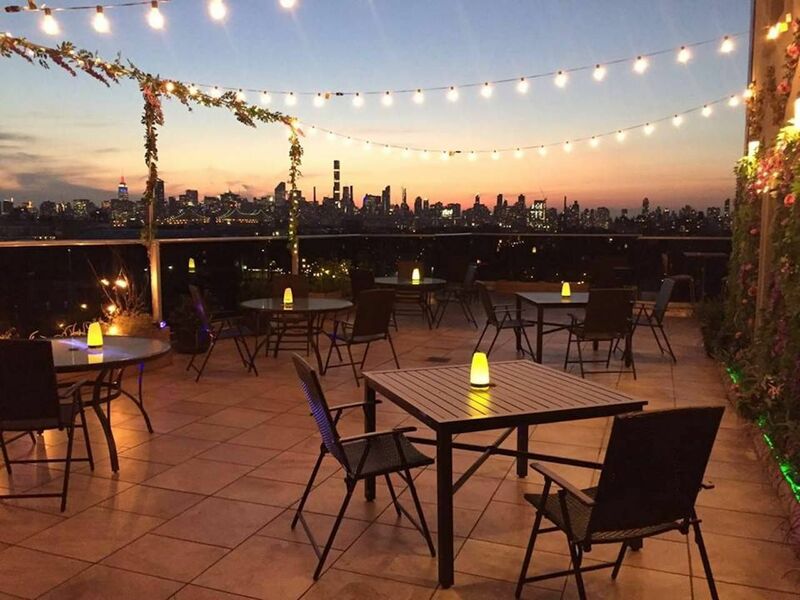 But a view is best accompanied by a good meal, and luckily, there are plenty of eateries in the five boroughs that provide exactly that. 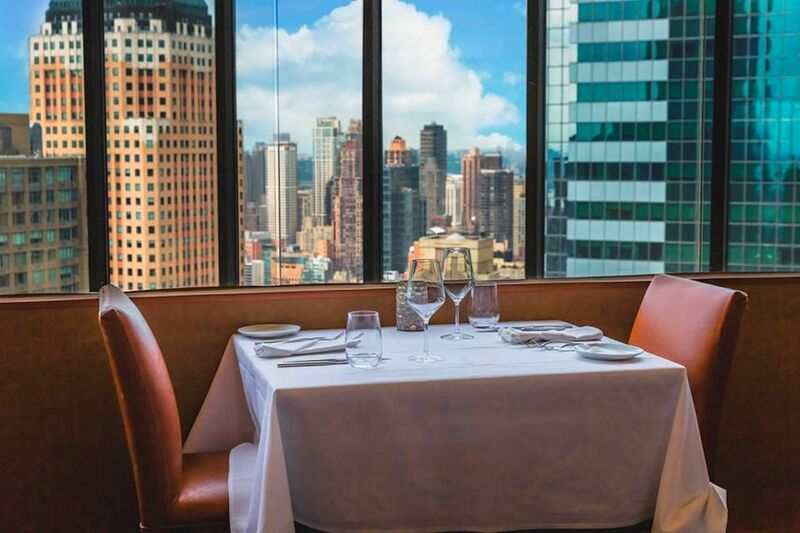 Here’s our list of the seven best restaurants in NYC with incredible views. After spending the day wandering through Brooklyn, Alma is the perfect waterfront dining destination that’ll allow you to unwind with a good meal. It’s a rooftop restaurant with open-air dining, but when it’s cold or raining, it covers the spot to keep the bad weather out, so diners get to see the downtown NYC skyline no matter what. Alma itself serves up Mexican fare such as tacos, enchiladas, rice, and meat with an extensive tequila menu to match, though there are also other cocktails available. It might be a bit on the pricey side, but The View is worth spending those extra dollars. Located on the 48th floor of the Marriott Marquis hotel in Times Square, you’ll be in the heart of all the action with — as the name suggests — a breathtaking view to match. Even more amazing is the fact that it’s actually NYC’s only revolving rooftop restaurant, and every hour, the floor makes a complete 360-degree turn, so you’ll get to see the city from all sides in the space of one meal. The most famous shot of New York City is probably the one from above where all of Central Park can be seen, seemingly enclosed by all the buildings surrounding it. That particular view is hard to experience unless you have access to a high-rise along the park’s outskirts or visit the Met’s rooftop when it happens to be open. That said, right in Columbus Circle is the Robert restaurant. Atop the great Museum of Arts and Design, the modern American restaurant lets you see that same view of Central Park with Manhattan’s buildings around it. The bonuses here are that you also get to see Columbus Circle in action, and you don’t have to fall prey to the elements — it’s all indoors. 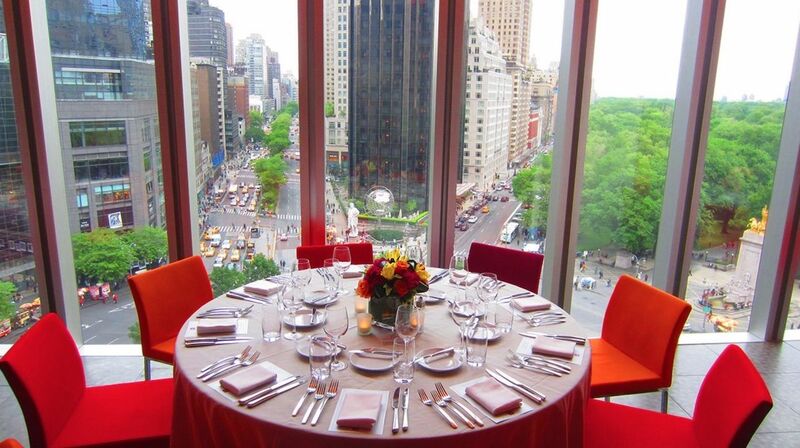 Queens is known for its abundance of different Asian cuisines, but that experience can be enhanced with a view. Luna Asian Bistro is a Japanese-fusion restaurant with views of Astoria and Manhattan in the distance. The vista is particularly awe-inspiring in the evening when you can see all the bright lights. The menu consists of a sushi bar, sushi and sashimi a la carte, and hand rolls. The Empire State Building is one of the most iconic buildings in NYC, and it’s also one of the hardest buildings to get a good shot of. From the street, you’d have to bend your body like a pretzel to get all of it in the frame, and from other buildings, it’s either too far away or obstructed. Luckily, Refinery Rooftop takes care of that for you and serves up some classic food and drink while it’s at it. 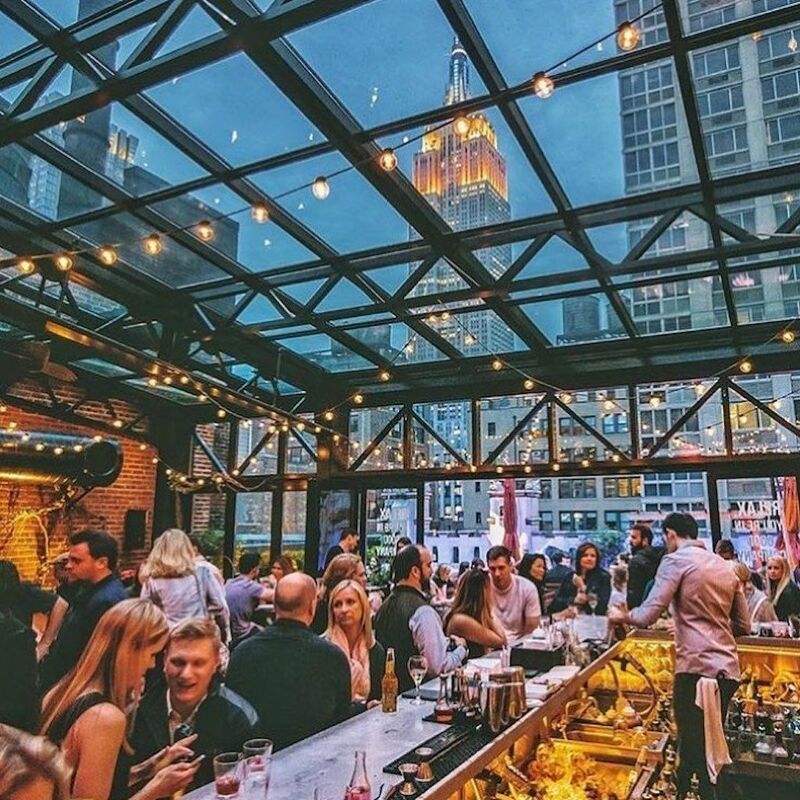 Brunch, lunch, dinner, and dessert are served in an industrial-style room with a retractable glass roof that allows for both indoor and outdoor seating, as well as an up-close and personal shot of the ESB and some of Midtown. 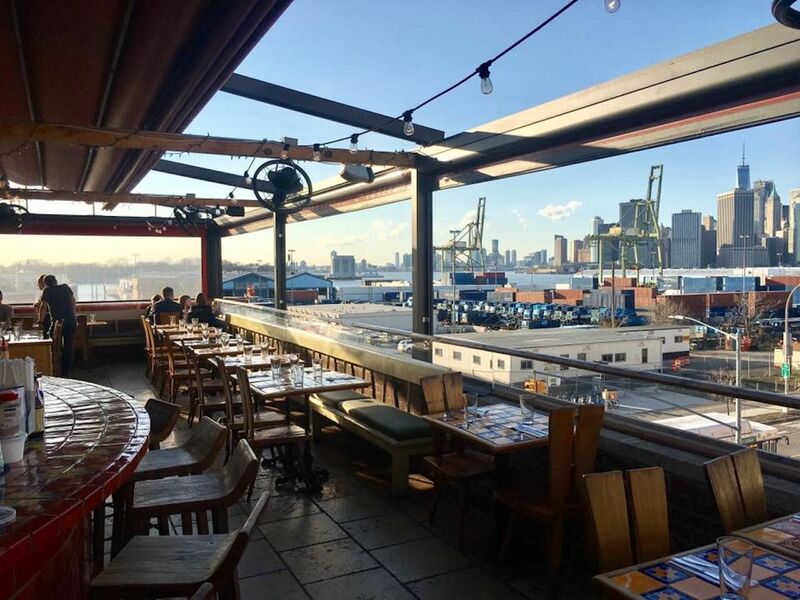 Waterfront views and sailboats from your table at il Fornetto will transport you to a seaside town in Italy, making you forget that you’re actually in Brooklyn. Dishes such as oysters, truffled pizza, burrata, penne fornetto, and Tuscan lemon chicken certainly won’t take away from that vibe either. Located right on Sheepshead Bay, il Fornetto is close to Coney Island, Manhattan and Brighton Beach, and North Forty Natural Park. City Island is a small island in the Bronx that’s known for its variety of seafood and water activities. The available cuisine ranges from American to Italian to Japanese, so there’ll be something for you no matter what you’re craving. 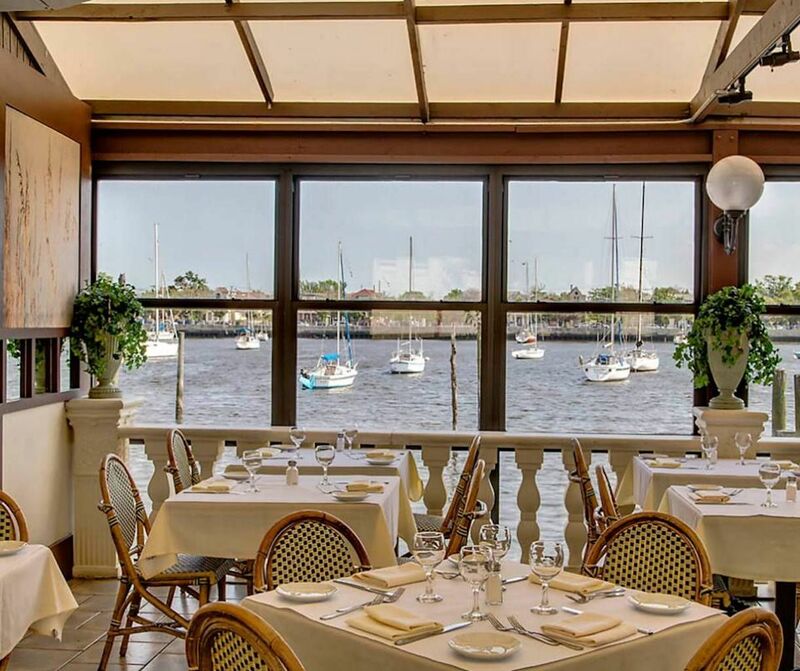 We recommend Johnny’s Reef, right on the southernmost point of City Island. Not only does it serve up some of the best seafood on the island — there’s also other options like burgers, chicken, and fries — but its no-frills attitude and design allows visitors to have a stress-free experience. Be sure to sit outside where you’ll be provided with some great views of the water, other small islands, and Throgs Neck Bridge. If that’s not enough to entice you, it’s also cheap, at no cost of quality.